I LOVE spoiling our dogs this time of year. They each get a stocking on Christmas and this year I find myself spoiling them even more since we lost Riley a few months ago. The sting of losing him hits hard especially for Kate his partner in crime and mate for life. We even see Buddy displaying some odd behavior and we think that it is all related. 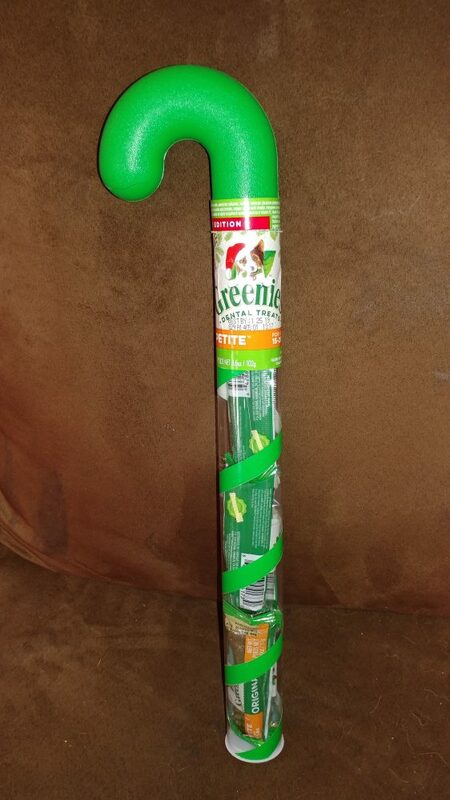 This year they have been getting more treats than usual and this Greenies Candy Cane Tube which only costs $4.99! Yes, our dogs are bigger than these are usually called for, but I like that I can give them a smaller sized treat from time to time and plus who doesn’t go bonkers over a candy cane tube filled with dog treats? These are the perfect little taste for their snack cravings and besides they make their breath smell better! 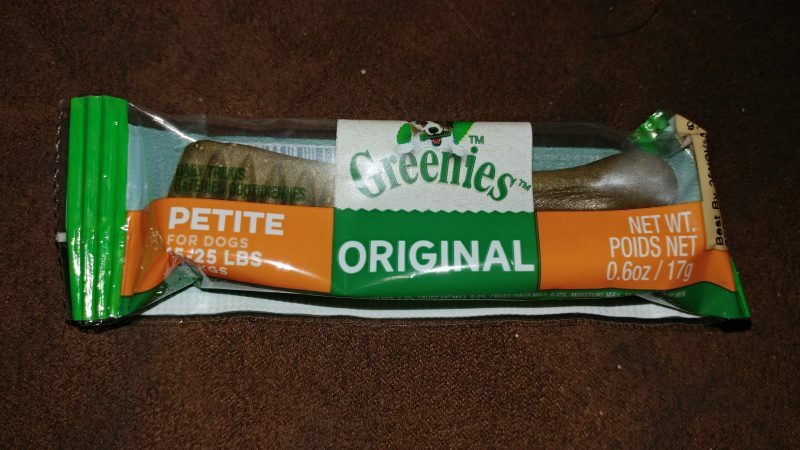 Give your beloved pet the gift of a great smile with Greenies Candy Cane Tube Dental Dog Treats! These veterinarian recommended tasty treats make the perfect stocking stuffer or holiday gift for every pooch and pup on your list. Made with all-natural ingredients, these goodies are designed to control and remove disease causing plaque and tartar, all while putting an end to dreaded doggie breath. Keep the cuddles coming and give your best pal the dental health they deserve with these individually wrapped, complete and balanced dental treats. Comes in an adorable candy cane tube that’s the perfect gift for the holiday season. Made with soluble, natural ingredients that easily break down for safe and easy digestion. A great tasting treat that your dog will go crazy for while also giving him kissably-fresh breath. Hard chews brush away plaque and tartar buildup, revealing cleaner fresher teeth with daily use. Recommended by veterinarians in order to prevent gum disease and reduce the amount of professional dental cleanings.